In our latest client profile piece we speak to Rebecca Bull, founder of award-winning HR consultancy, My HR Hub about the driver behind setting up My HR Hub and the imminent launch of an exciting new service. When was My HR Hub formed? 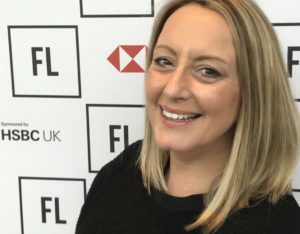 I set up My HR Hub in 2016 to deliver cost-effective, bespoke HR and business improvement services that are tailored to the operational needs of start-up, small and fast-growing businesses.The main driver that led me to creating My HR Hub was that I wanted to help companies on their growth journey and work with them to become better, fairer and greater places to work. Through my services, I give employees a voice that is heard in the business and this then becomes part of their business improvement plan. It’s extremely important to me that the work we do makes a difference to people’s working lives as well as helping companies become more successful and profitable. Looking after people’s mental health has always been a key part of my HR work with companies and I offer counselling via third parties and train managers on how to deal with these issues. I’m proud that we now work with clients of all sizes and across all sectors throughout the UK. My passion in helping businesses become the best they can be and providing a great working environment for their employees is what drives me every day. has improved their performance clearly and tangibly. It’s results like this that give me real energy. How do you work with Clayton & Brewill? The Clayton & Brewill team help me ensure that my finances are all in order and I’m compliant with the relevant HMRC requirements. As a sole-trader I appreciate the benefits of working with carefully selected advisers to help ensure we’re done things correctly. Working with Doug and the team frees up my time to allow me to focus on delivering a great service to my clients. I have also worked with Clayton & Brewill to help them implement a HR system, which has helped to ease their administration burden. I have also conducted an employee engagement project. Clayton & Brewill are committed to creating a great place to work for their team and it’s been a pleasure to work with this. What’s next for My HR Hub? We’re currently in the process of launching a new service, My HR Club. My HR Club will provide a supportive network for employees with responsibility for day-to-day HR functions for their employer, where they can share experiences, best practice and ideas. Any employee in a stand-alone role that looks after people and HR in any organisation knows that it can be very rewarding, but it also involves spinning many ‘plates’ and can, at times, feel quite lonely. My HR Club is the first membership organisation of its kind in the UK that is specifically for those in these stand-alone HR roles. As well as HR professionals, there are thousands of personal assistants, office managers, finance managers, line managers as well as managing directors in start-ups, who have responsibility for HR in their small or medium sized businesses. This is a big ask of them, as HR is a profession which takes many years to qualify in. Often, they do not have access to the HR support, coaching and professional networks that other larger companies have, and may lack the budget for a full or part-time HR professional or even outsourced HR services, which means they are not getting the advice and support they need. My HR Club has been designed to address all these issues and scenarios, by providing an affordable, accessible and valuable membership offering where they can connect with like-minded people in similar roles. The vision for My HR Club is to create a confidential, encouraging, professional and fun community of like-minded people championing HR in their organisations. We look forward to officially welcoming members to My HR Club when it launches in May. 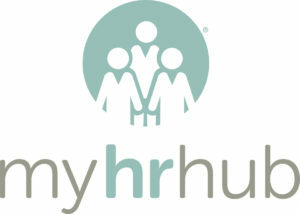 To find out more about My HR Hub, click here.